A multidisciplinary PHS team collaborates to do everything possible to help our patients with quadriplegia live life to the fullest – at home. Patients with quadriplegia need an extensive health care team to manage their needs and help their family caregivers achieve a healthy home environment. PHS respiratory therapists provide necessary respiratory equipment, education and support related to a patient’s respiratory health. PHS infusion nurses obtain laboratory specimens as needed in the home and also provide any intravenous medications ordered by the patient’s physician. PHS dietitians provide information that maintains the highest level of nutritional health and minimizes complications of the conditions. The PHS medical director attends team care rounds and presents medical updates and new treatment modalities in caring for patients with quadriplegia. A PHS clinical social worker is available to help the family deal with the many issues and concerns that arise with a quadriplegia diagnosis and provide support in locating additional information, programs, services and community resources specific to a quadriplegia diagnosis. PHS provides all medical equipment that may be needed by patients with quadriplegia. We are also available for initial consultation and ongoing follow up throughout childhood and adolescence. The brain and the spinal cord are the major parts of the central nervous system, sending messages throughout your body. Quadriplegia is the paralysis of both arms and legs, and it occurs when the neck area of the spinal cord is injured. The location of the injury on the spinal cord and the severity of the injury will determine the amount of function a person will have when the spinal cord is injured. Sometimes, if an injury is high enough on the spinal cord and the injury severe, a person’s breathing may be impaired. A person who has complete quadriplegia is unable to move any part of the body below the neck. Some of these people are also unable to move the neck. A diagnosis of quadriplegia requires careful medical management of the potential common complications of quadriplegia. The spinal nerves control the function of the bowel and bladder, and people with quadriplegia have varying degrees of loss of control in this area. The most common complications are urinary tract infections and constipation. These are complications that can lead to serious medical situations if not caught and treated promptly. Pressure sores may result from being immobile for extended periods of time. The weight of the body being in one spot too long impairs circulation and is likely to cause sores. In addition to immobility, a quadriplegic is unable to shift his or her body weight from one spot to another to remove pressure. Pressure sores can become infected and cause serious illness. Blood clots may also form as a result of immobility. Circulation slows down in general with immobility. Because the signals from the nerves that go to your child’s chest and diaphragm may be impaired by quadriplegia, breathing may be difficult or impossible. 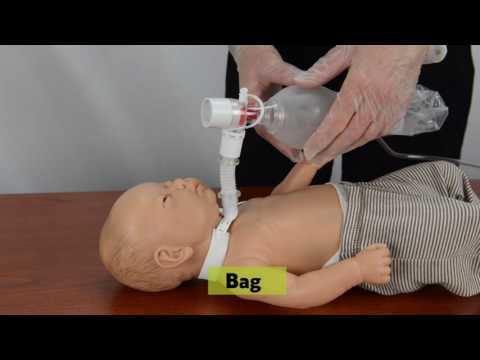 In the instance of complete inability to breathe, your child will use a ventilator to breathe. The use of a ventilator puts a person at risk for respiratory infections. Spastic muscles may result from quadriplegia. Injuries may result from altered sensation. An example of this would be a burn happening due to inability to feel the heat and not responding to the painful stimuli. Pain may also occur. A child’s physician will assess and provide treatment for pain.